MyCRM Blog | What should it cost YOU for YOUR Dynamics CRM Support? ← Special New Year bundles with MyCRM – Can your business really afford not to? What should it cost YOU for YOUR Dynamics CRM Support? It is likely that virtually every Microsoft CRM customer has some form of support contract, typically provided by the partner who implemented the solution or another partner who may have replaced the original partner. Of course it makes sense to have a support contract, just in case things don’t work as expected - much in the same way we purchase car breakdown cover. Sure, the car is reliable and never breaks down but nonetheless we all feel better knowing support is in place should the worst case happen. Much like today’s modern cars, Dynamics CRM and Dynamics 365 are extremely reliable applications, designed by Microsoft to work reliably and consistently, with constant improvements being made to improve functionality to support each customer’s business demands. So why then do customers invest thousands buying annual support contracts from partners who barely ever need to deal with any breakdowns or losses in functionality? How many calls or support tickets does the average customer raise in a year? Well the truth is, if CRM is implemented well (in line with Microsoft’s guidance) it is not likely to be a very high number at all, maybe barely ever making it past single figures. So why are many customers paying so much to receive something that provides such little value. Ask yourself how much you pay and how many support tickets you raised in the last year. Work out the cost per support issue and ask yourself if you feel this was good value. Ask your team if any of their calls for support were greeted with a response that suggested the answers sort or resolution needed was not even covered under your support contract, and were in fact deemed to be billable under a paid consultancy engagement. Be prepared for some frankly shocking revelations!! At MyCRM, we still believe that providing a level of support to protect any investment in Microsoft CRM makes sense. But how we provide it is based on delivering real value to our customers, support that is cost effective and does not drive billable consultancy engagements. 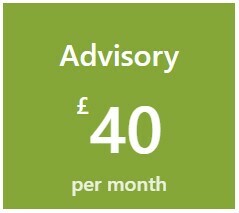 Just compare below what we offer and ask yourself if this provides better support at a realistic and affordable price. Ask yourself why you should continue to pay thousands each year to cover the extremely low number of support incidents that occur. Rest assured if you call our support team for help, you will actually, happily receive it. The first of our support packages has been designed as an advisory service. When there are those times when you need to ask someone how a function works or how you can do a particular action in CRM. For on premise customers, we also carry out an audit report on how the system is set up and check for latest rollups. If you're looking for a little more help, or if you need help setting up basic configuration and importing initial datasets, then this package may fit your budget. We still include our advisory role, and can also help with online configuration and general guidance to help you get the best from your CRM investment. 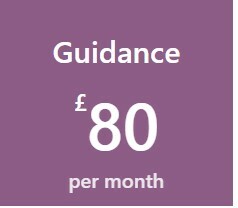 Our Supervisory package extends the services of 'Guidance'. We will put in place a strategy to maintain your CRM Server and Database if it is on premise. This will include planning all update rollups, performing and reviewing database maintenance along with guidance and best practice on using your CRM system. The Supervisory package is the perfect package for smaller organisations with between 25 and 40 users of CRM. Place you CRM in safe hands as we can become you administrator for day to day activity. We will perform and advise on CRM database maintenance and current configurations. We can set up and remotely maintain the system to keep optimum performance in place. We will schedule and manage updates and advise on database backups. In addition, we provide the option to have a backup of your CRM database stored in our state-of-the-art secure data centre managed by Rackspace UK (this excludes Microsoft CRM online or 365 online deployments). So whatever you need, MyCRM can provide the support YOU need and at an affordable and fair price. 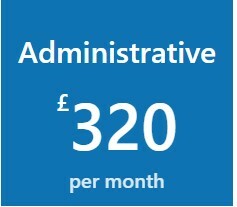 Even at our highest support level - Administrative, the annual cost equates to only £3,840. Just how does this compare to what you currently pay each year? We love to hear business success stories and with our expertise of CRM and Microsoft Dynamics CRM, we’ll be able to guide you through what we think would be most beneficial for you and your company’s needs. We do the hard work so that you can allow your business to be the best it can be and with CRM it can open up a range of opportunities for any business. If you want to discuss your support requirements and understand what we can offer you, please contact us today.